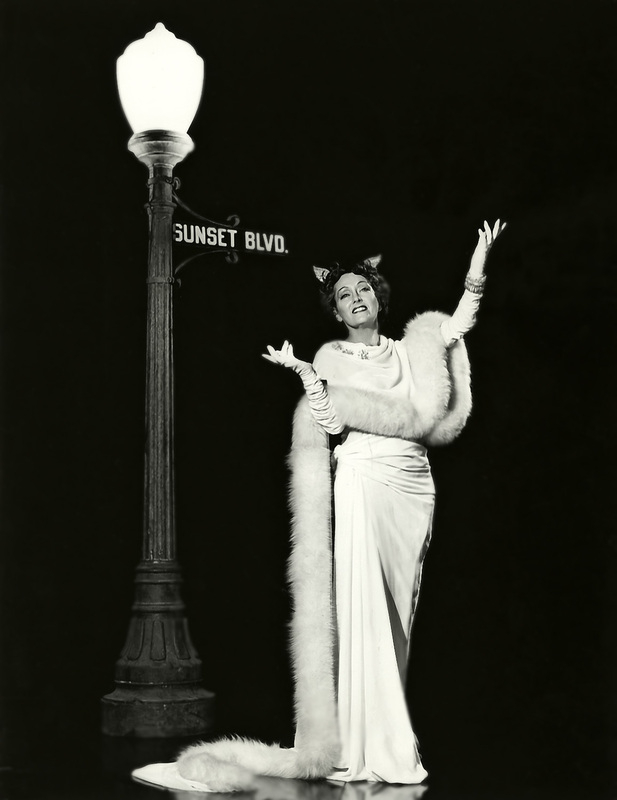 The 17th Academy Awards, which honored achievement in film in 1944 was held at Grauman’s Chinese Theater on Thursday, March 15, 1945 and was one of distinction for several reasons. 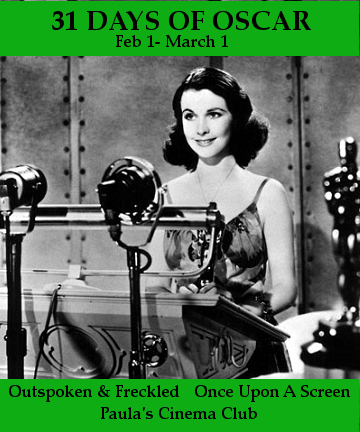 For one thing, the 1945 Oscars marked the first time the ceremony was broadcast nationally on the ABC Radio network. This was also the first year that the Best Picture category was limited to 5 movies, from the previous ten. And 1945 marks the first and last time one person was nominated in both the leading and supporting actor categories for playing the same role. That distinction is held by Barry Fitzgerald for his portrayal of Father Fitzgibbon in Leo McCarey’s Going My Way. 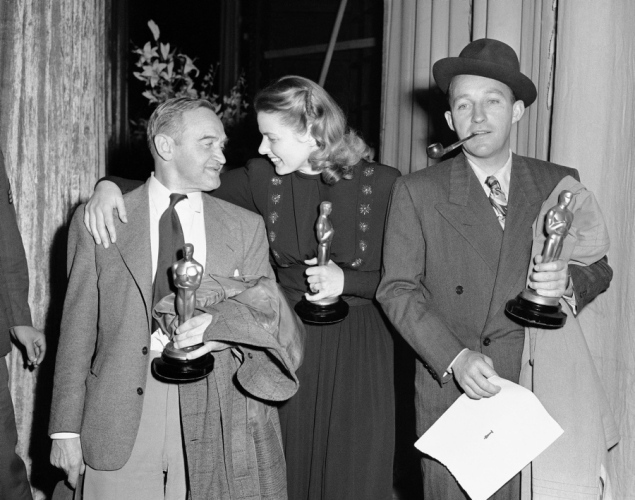 Barry Fitzgerald took home the Oscar for Supporting Actor, losing in the Leading Actor category to his Going My Way co-star, Bing Crosby. That’s how the Supporting Actor category went down in 1945. Talented actors who did great work received nods from Oscar. All’s fine and dandy. Except – although it’s difficult to argue with the picks made by the Academy – there was a glaring omission on the list. That is what is now being referred to (by me) as the snubbing of Barton Keyes. 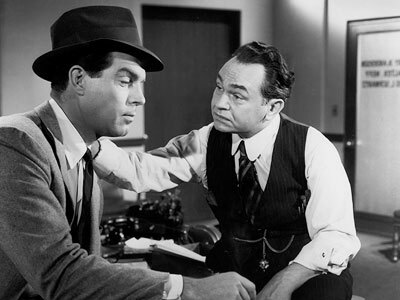 Barton Keyes is the role brilliantly portrayed by Edward G. Robinson in Billy Wilder’s Double Indemnity. 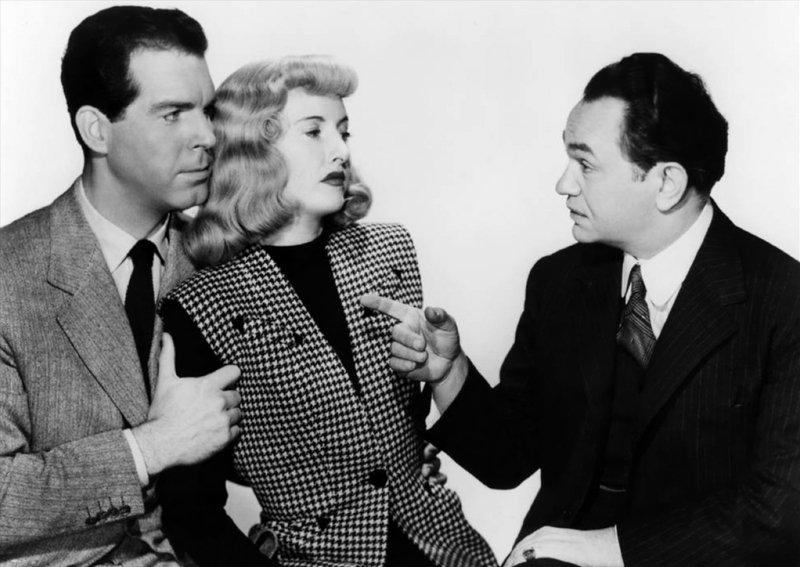 I saw Double Indemnity in a theater in December, a viewing that only strengthened my conviction that as great as the film’s story is, as wonderful as both Barbara Stanwyck and Fred MacMurray are in it, THE standout in the film is Edward G. Robinson as Barton Keyes. Robinson’s depiction of the ruthless, irritable, funny, big-hearted, insurance adjuster with the “little man” who lives in his gut that serves as a warning when some claim seems “off,” is unforgettable. His physicality as he makes a point, how he uses his cheap cigars, which become key to his relationship with Neff, are perfection. Every line Robinson delivers is a keeper. It’s one of my favorites too. And there’s my pitch for a snub of the highest order. Without detracting from the gentlemen whose names were read by Charles Coburn on March 15, 1945, the snubbing of Barton Keyes leaves an uneasy feeling in my gut. Edward G. Robinson should have made the cut. I chose to focus on Barton Keyes because, as I mentioned, Robinson makes Double Indemnity the movie it is – and it is one of the greats. However, it must be noted that Edward G. Robinson’s entire six-plus decade career was a huge snub. The actor, named the #24 Greatest Actor on the American Film Institute’s list of 50 Greatest Screen Legends, beloved and admired by fans and peers alike, an actor whose talent transcends culture and language (I know this first-hand) never received an Academy Award nomination. Ever. Unbelievable. For more on Edward G. Robinson visit a recent post in his honor. For more of my own picks of snubs visit OH NO THEY DIDN’T! Ignored by Oscar. I agree entirely with you. 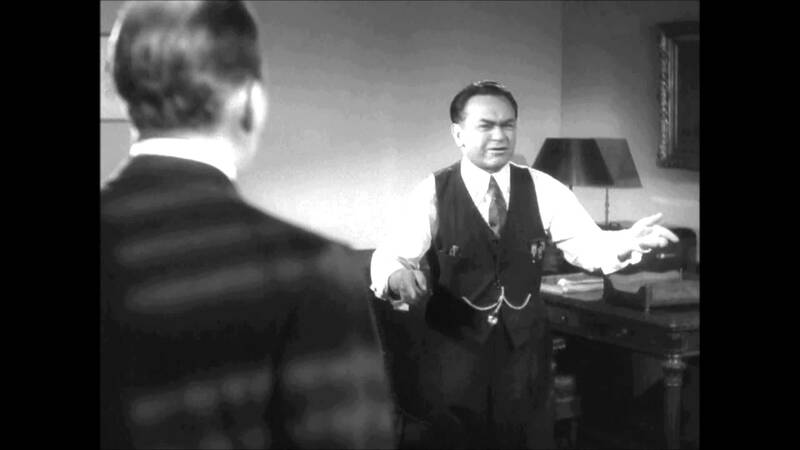 I’m going through a lot of Edward G Robinson films just now and am totally bowled over by his acting in films like Two Seconds and the Little Giant and Brother Orchid and of course Double Indemnity. I had no idea he had no Oscar nominations. Incredible. Aurora, you’ve really hit the bull’s eye with this superb post! DOUBLE INDEMNITY has long been one of my absolute favorite films, and you’re just the gal to get Edward G. Robinson his due at last! 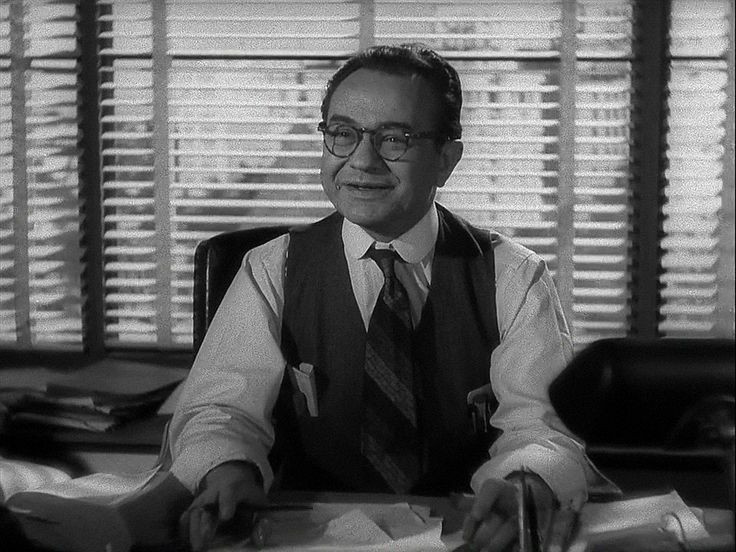 We of Team Bartilucci have always thought Edward G. Robinson was the heart and soul of DOUBLE INDEMNITY ’s Barton Keyes, the film’s crabby yet kind-hearted Voice of Reason. Heck, there’s more tenderness between Keyes and Walter Neff than there was between Walter and Phyllis Dietrichson! (in a manly way, of course :-))! BRAVA to you on righting a grievous wrong, Oscar-wise! Great post, my friend! Edward G. was TOTALLY RIPPED OFF!!! He is AMAZING in that movie, because he’s superb in all the ways you describe. 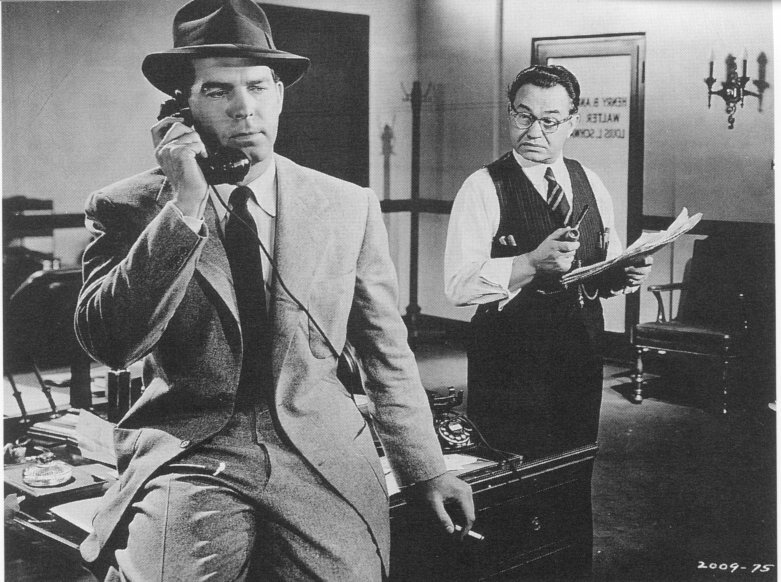 “Double Indemnity” would still be a great movie without Robinson, but it’s LEGENDARY because of Robinson. I am so glad you chose this unjust Oscar snub to focus on. Sing it, sister! 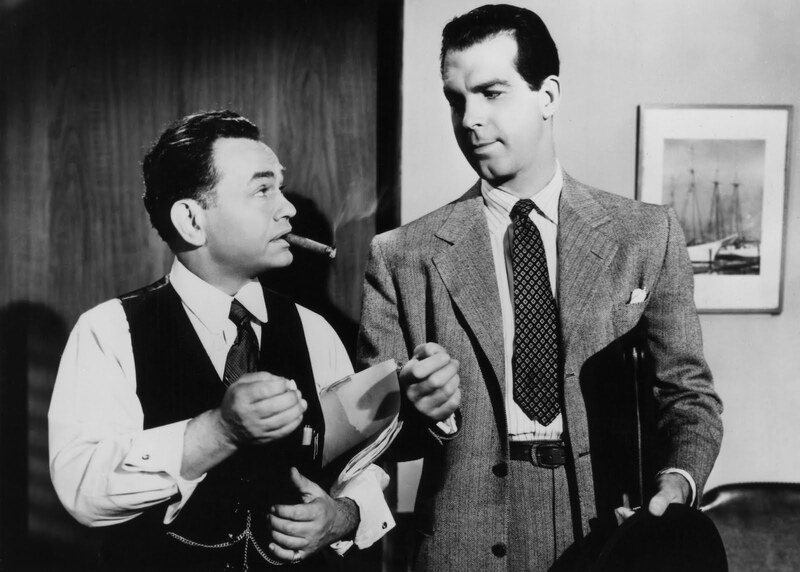 I recently saw Double Indemnity in close proximity to The Whole Town’s Talking and was impressed by Robinson’s savvy and credibility when playing “ordinary” men. I was reminded of the same thing when I recently saw OUR VINES HAVE TENDER GRAPES again. Wonderful actor. The snubbing of Barton Keyes is a blot on the Academy from which they will never recover. Nor should “they”. 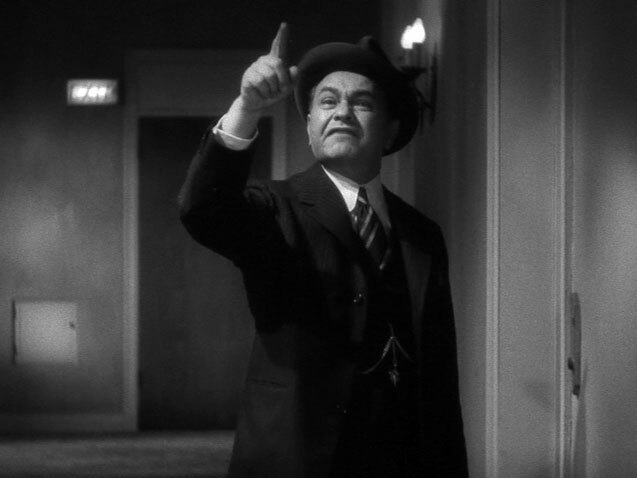 The total lack of nominations for Edward G. Robinson is the world’s greatest head scratcher. Regarding the other nominees, it seems odd that Claude Rains as the title character in “Mr. Skeffington” should be considered supporting. And, really, everyone else in “Laura” was supporting Clifton Webb, not the other way around. Your article perfectly outlines the case for Keyes/EGR. I just shake my fist and growl at pictures of the Oscar statue. I can’t imagine anyone but Edward G Robinson playing this role. He brought the needed ‘fire in the belly’ of this character. This was also a ‘thinking man’s” role and Robinson definitely conveyed that superbly too. What a tremendous performance. 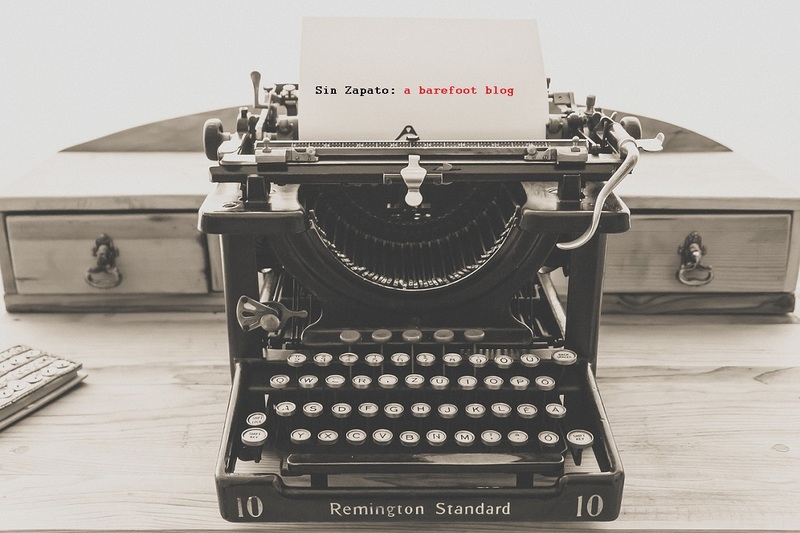 Thanks for another amazing write-up! Thanks, Kellee. Yeah, he was amazing in everything but just makes this movie for me. It is just wrong that he wasn’t nominated. Maybe they should change it so the acting categories have a variable number of nominees for this kind of situation. Just a thought. The snubs of Edward G. were truly astounding. Did you ever see him in “All My Sons”, by Arthur Miller? He was beyond words and was snubbed then too. Sometimes I think it’s because Hollywood never wanted to recognize actors in gangster films, and he was tainted by the silly prejudice. Remember Cagney in “White Heat?” An Oscar performance too, if ever there was one, and it was overlooked as well. 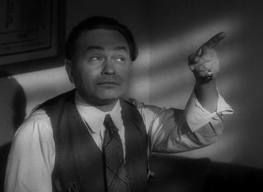 Edward G. was a constant in great acting performances, and he sure deserved better. I’m glad he gets it now from us…. By the way, Aurora, I have no idea why that weird purple monster always shows up here beside my name — I never picked him out! LOL! God, I love this actor! He is so real and so full of great humanity – he gets me every time. His role in DI is so strong – maybe they needed a category like super-supporting actor for this one. Wonderful post, Aurora. Thanks for the post on Robinson, I have not seen Double Indemnity, but loved him in Our Vines Have Tender Grapes. Thanks for stopping in. YOU MUST see it when you get the chance. The movie’s great all around. Emanuel Goldenberg was Edward G. Robinson’s birth name. When Warner Bros. “suggested” that he adopt a somewhat de-ethnicized screen name, Robinson kept ‘Goldenberg’ around as a kind of alter ego/career advisor/life stabilizer. It appears to have worked out well for him. If you can find his autobiography, by all means read it.